Looking for DIY wall decor? Spruce up your walls & your life with these DIY wall art ideas for a tiny fraction of what you would pay for designer art. Are you staring at a blank wall somewhere in your home? Consider it a blank canvas, presenting the perfect opportunity to showcase your creativity. Move away from the dime-a-dozen prints and the overpriced designer “art,” and instead express yourself and your tastes. 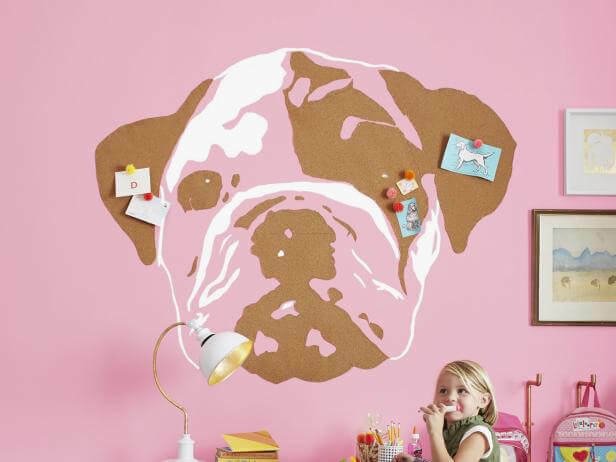 You’ll be able to liven up your walls and your life at a fraction of the cost of buying wall art, and have a lot more fun with these DIY wall art ideas. If you can’t draw a stick figure, don’t worry. Art can be made by truly anyone, whether you prefer to paint by numbers or could paint the Mona Lisa freehand. In fact, we’re going to focus on projects that don’t require any traditional art experience or skills. If you are able to inscribe a museum-worthy mural on your wall, and make toilet paper rolls into three dimensional sculpture that Michelangelo would happily claim, fantastic. Have fun exploring some easy DIY wall decor projects, as well as some great ones that may take you out of your comfort zone. There are incredible possibilities to cover your walls with something entirely unexpected, to reinvent vintage items, or to upcycle simple things you already have lying around. Get bold, give it a try – you are an artist, and your home can be your masterpiece! Want to bring the great outdoors inside? It’s easy to do with living plants or through more crafty means. A living wall or vertical garden looks fantastic, and perfect for someone whose artistic expression leans more towards gardening. It brings lush organic freshness into even the most sterile environment. Use a shipping pallet as the unit, then add plants, herbs or flowers that delight you. Check out here for more details. Interested in other cool DIY garden project involving pallets? Click here to learn how to build a raised garden bed using pallets. If you love nature, but perhaps don’t have a green thumb, don’t worry. You can create realistic, magical moss art pieces incorporating the same material that model railroad enthusiasts use to make grassy landscapes. By placing the moss on foam, you have a piece that is lightweight enough to be held on the wall with poster putty, eliminating the need to make any nail holes. Check out the steps for more instructions. These are a classic for a reason – consider doing this as a joint project with a child, they will love it. You can use any specimens that you like, press, mat, label if desired, then frame. Beyond simple and a wonderful way to preserve memories of natural spots you’ve visited. E Cab Online gives a tutorial. If you really, really don’t have a green thumb, use tissue paper poms or paper flowers to make something fun and nature-inspired. Reposition the pieces as much as you like until you achieve the look you want, then use double-stick adhesive to anchor them to your wall. Details can be found at here. A creative, harm-free, humorous variation on taxidermy! You probably even already have everything you need to make this, as it repurposes a cardboard box. You just need to add the template and follow along. A wonderful project to commemorate your fur baby as well as have a fun family activity. Invite human kids to join in as well! To keep the doggy mayhem contained, make sure to spread a painting sheet over the area. You can read more here. Another way to bring the natural wood indoors is simply through using wood – you can use purchased boards, or even found driftwood to create truly unique pieces. Inspired by a $400 Anthropoligie wall hanging, this project will actually only run you around $25. Spray paint the wood a metallic of your choice, attached a lantern and… done! Mountain Modern Life shows how. It looks expensive and exhausting. It is not. Repurpose craft or paint sticks to make the honeycomb pattern, then paint for a spectacular full wall treatment. Find out more at here. Use a found piece of driftwood as the basis for this yarn hanging, or just a wooden dowel. This hanging can look great with very little effort and no weaving skill required. Play with colors to create a one-of-a-kind pattern perfect for your décor. Get the steps at Oleander and Palm. While we’re talking yarn, how about using it cat’s cradle-like to make any pattern or word you desire? This particular project also incorporates cork board, making it especially easy and inexpensive. Learn more here. Also inspired by Anthropologie, these charming circles add a touch of color and whimsy to your walls, all for under $50. Just apply some acrylic craft paint, and apply either directly to the wall or an inexpensive frame. This tutorial takes you through all the steps. Fortunately, wooden blocks are easy to find at craft stores – though if you feel strongly about it, you certainly can make your own! Otherwise, just stain them, let dry, and then play with the arrangement until the colors and texture feel right. Find the tutorial here. This charming project fuses a love of letters with simple wood cut squares. Use a high-res picture of the style letter you want, double check those letter values, and decide what you want to say. See Inside Ways for more. Similarly, if you love letters but would rather frequent flea markets than Scrabble tournaments, try this charming installation. It’s pretty much like creating your own letter puzzle, and completely simple. Popsicle sticks totally still count as wood! Many geometric display shelves are incredibly complicated exercises in cutting wood and measuring angles, but popsicle sticks make this much easier. Check out the tutorial for more. This is truly easier than it looks. Really. Promise. Create a wood base with scraps or a few boards, then trace a map template onto the wood. Use a slip of carbon paper (remember that?) between the printed map and the wood, then stain. See more at The Happier Homemaker. Keeping with the map theme, check out this world map made of cork. It’s perfect to mark all the places you’ve been, or where you want to go. Use templates for any country (or shape) you desire, cut, glue, and go! HGTV has helpful details as well as templates. This is beyond cute, and great for kid’s rooms. It’s a little more complicated, but worth it. HGTV again has full instructions. Moving on in materials, let’s discuss, well, material! Fabric can be used in an amazing number of ways to create wall art, as well as to apply directly to your wall. You can apply this same idea to any large fabric piece you fancy, such as a scarf, rug, or tapestry. It simply requires building a frame and installing. Find out more here. Have more than one piece of fabric you’d like to incorporate? Make an assortment of panels to add color, texture and interest to your walls. Find out how at Bella Dia. If you’re in a situation where you really don’t want to make holes in your wall, or fuss with hanging wallpaper, try just starching wet fabric to the wall. If you can, use a few pushpins to help hold it in place at the top, then let dry for a few hours. To remove, simply wet the fabric again and peel off. Design Sponge gives the whole scoop. Walls are perfect places to display your collections. There a way to feature practically anything you love to collect – these are just a few ideas. For this particular project, the DIYer used 100 vintage Penguin book cover postcards. You could use any postcards that you love, whether purchased or collected over the years. Find some inspiration at How About Orange. If you’d rather use photos than postcards, that’s fantastic. It won’t even require a single nail. Learn how to create, print and hang your own photo mural with the video. For another nail-free way to display your photo collection, check out these washi tape frames. It’s cheap and chic, and can be changed easily and endlessly as your interests shift. Find directions at Design Sponge. Take your fancy china out of the cupboard and make it a focal point in your house. Peel and stick disk hangers or wire plate hangers will do the trick to hold your masterpiece in place. Find the details over here. Take your plate collection to the next level with porcelain paint. Decorate any old (or new) plates to make a one-of-a-kind arrangement. House and Home will show you how. If baskets are more your vibe than plates, try the exact same thing with some rattan paper plate holders or interesting shallow baskets. Add yarn or paint for an extra-special touch. Find out more at here. Okay, so you probably don’t actually collect paint samples on purpose. But if you’ve been working other interior design projects, you certainly will have an assortment laying around. Add a few more from your local hardware store and a recycled frame to create something unique in the colors that best suit your home. Find out how at Love Hue Home. If you have no idea what a CD or jewel case is, well, first, I feel really old. Second, just ask a friend or relative who might have a stash, or visit a thrift store. They make terrific frames for either personal pictures or abstract, and can be hung with Velcro or poster putty. Learn more here. Also not quite a collection, but really spectacular in multiples, try some Matisse-like cut-outs. It takes only an hour and some colored construction paper. You can even mount them in your CD jewel case frames. Find a full tutorial here. This doesn’t quite fit any category, but is just so cool! Use crayons and a hairdryer to create amazing effects on canvas, then hang. College Gloss will walk you through it. These simple, and simply fabulous, adornments are sure to bright any room. Stylish and chic, sunburst mirrors can run hundreds of dollars. Or, you can DIY for less than $20. Use any attractive round mirror, and guess, what, kabob skewers for the sun’s “rays.” In this project, Catie’s Corner used about 100, and you can learn all the details from her. All you need is an old frame (easily purchased from a thrift shop or dollar store), some sequins, glue, poster board, and any little details you’d like to add. The pattern is entirely up to you – chevrons are fabulous and on-trend, but you can trace or sketch anything that appeals to you. Go through the super simple project here. Have a few hours and about 1000 thumbtacks? Let your imagination run wild. The hardest part is simply deciding what you want to create and sketching it out on the wall. Then, just start adding thumbtacks! Let’s finish up with even more sparkling possibilities. Use recycled Christmas lights, or find some inexpensive indoor/outdoor fairy lights. Plot out your design on a stretched canvas, and use an awl to make small holes. Secure your bulbs with craft glue and then light it up – you’ll be amazed at how beautiful it will be. Social Popsugar takes you through the project. Just for fun, here’s a bonus project that is not necessarily for everyone. It’s a spectacular project, and requires no traditional “artistic” ability but it might require a master degree in electrical engineering. The video and description is worth the time whether you intend to build the installation or not – it’s an awesome testament to what happens when people turn their passion and creativity to DIY work. Are your creative juices flowing and is your inner artist ready to shine? Pick out a wall in your home that could use some new life and give it a makeover with one of these inspiring ideas. Use caution though….the compliments you’ll receive can be quite addicting!